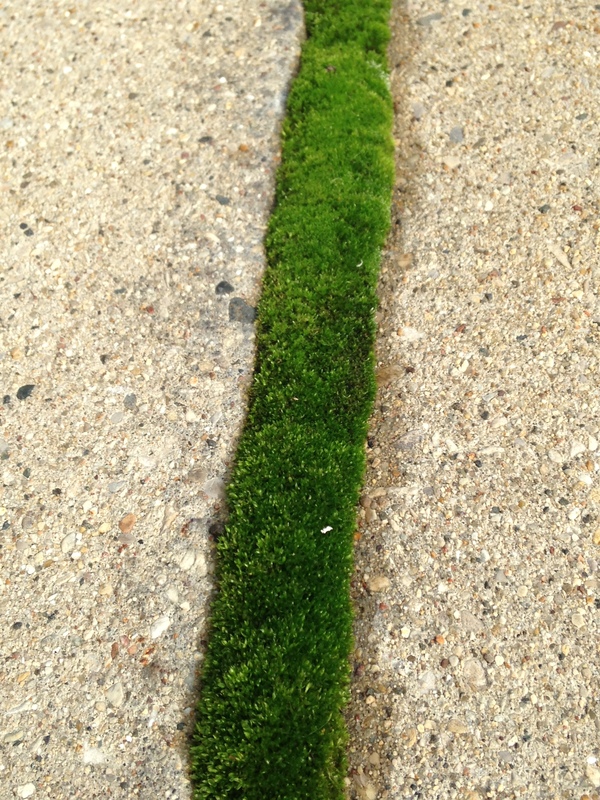 As my half caf patiently waits . . .
. . . I’m crouched down on the sidewalk with my iPhone trying to get a close-up of this plush stripe of moss growing in between the cracks. I’ve tried several times to capture the lush, jewel-like green, but somehow it always looks more drab in photos than in real life. 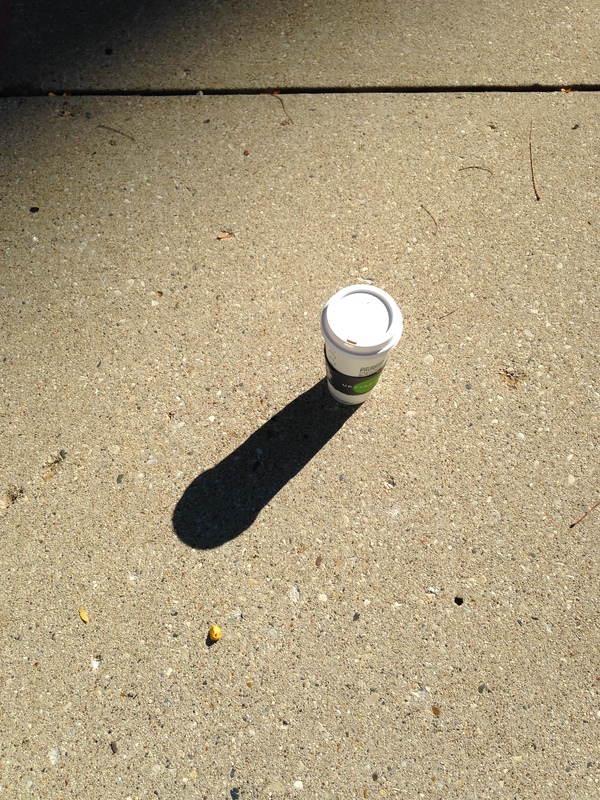 Today I tried standing on the opposite edge of the sidewalk, with the sun to my back. It seemed to make a difference. Sorry I’ve been gone for so long and that all I have to offer today is moss. My job has kept me really busy the past month. Plus we had to put down one of our dogs in August, and as every pet lover knows, that that’s like losing a member of your family. RIP, Sammy. You were a good boy! 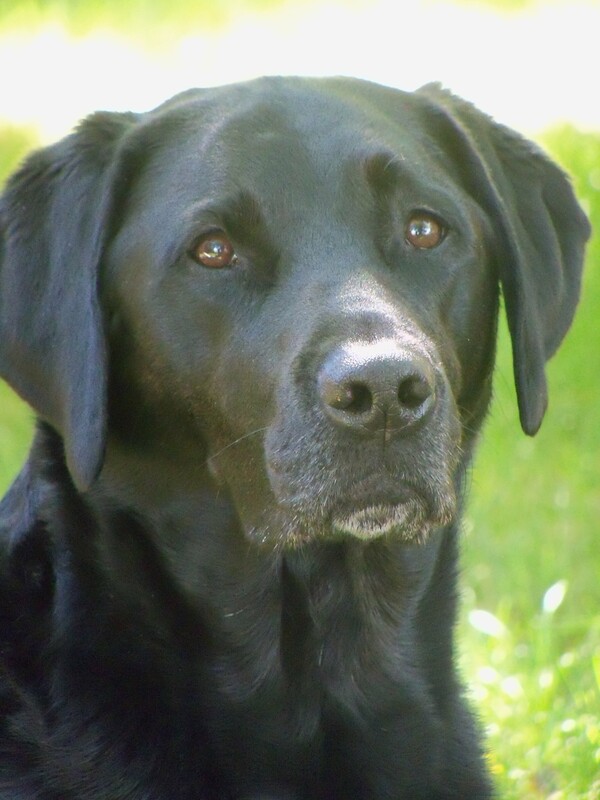 This entry was posted in Life and tagged dogs, moss. Bookmark the permalink. 6 Responses to As my half caf patiently waits . . .
A beautiful boy, indeed. So very sorry for your loss. Glad to see you back and blogging! So sorry to hear about Sammy, Katie. What beautiful, expressive eyes. Your moss looks like a miniature forest. What interesting things live in there? Maybe a hobbit village? Sam would have liked that! !